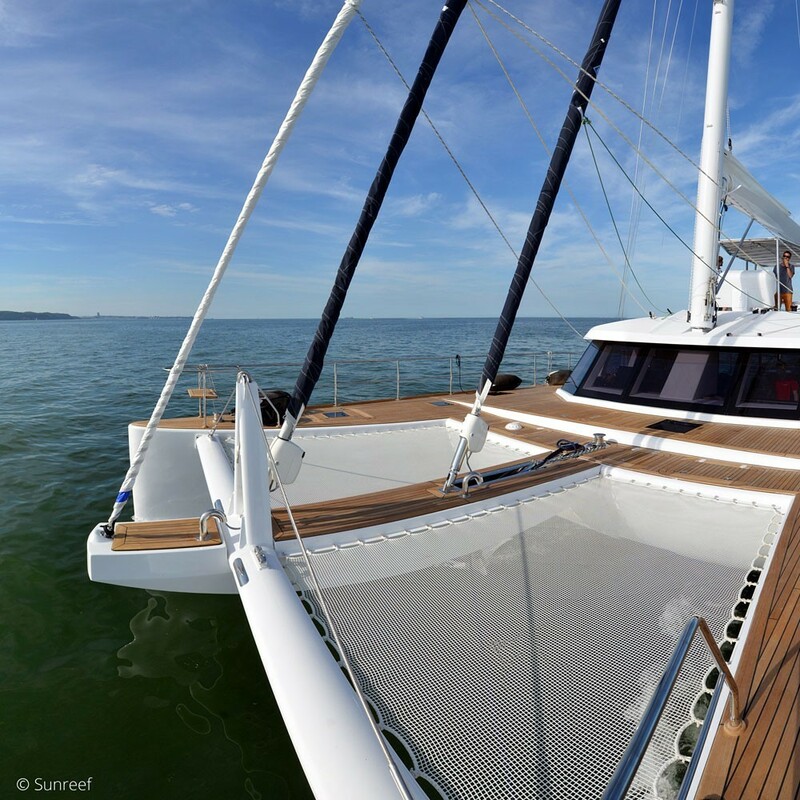 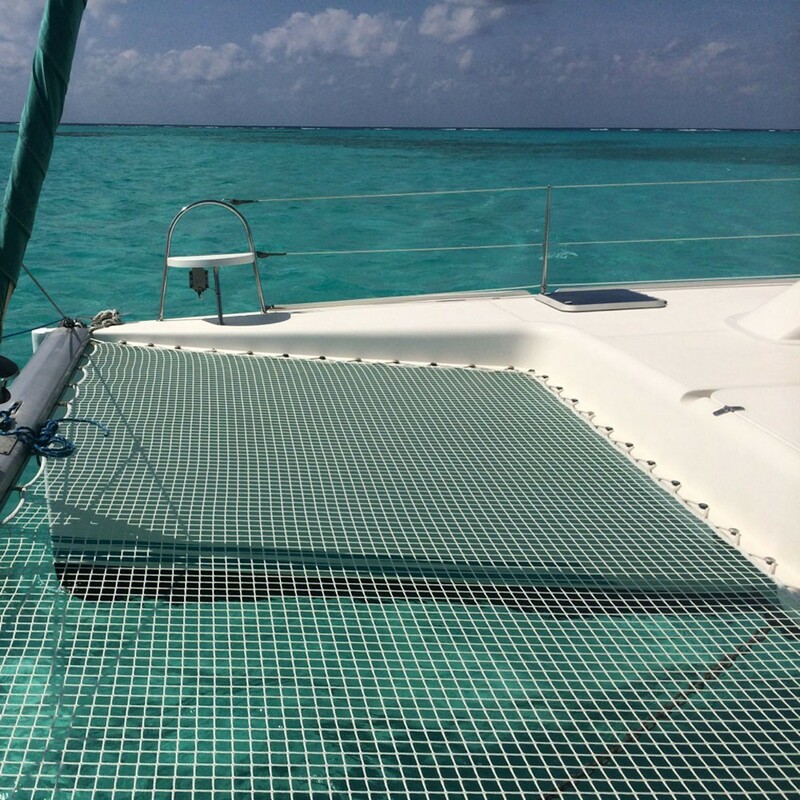 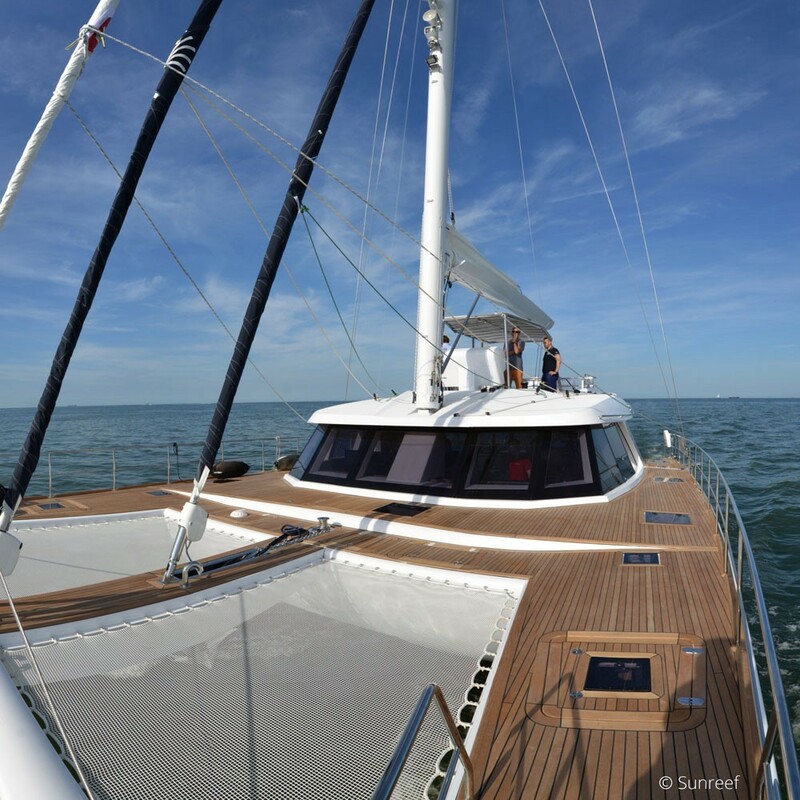 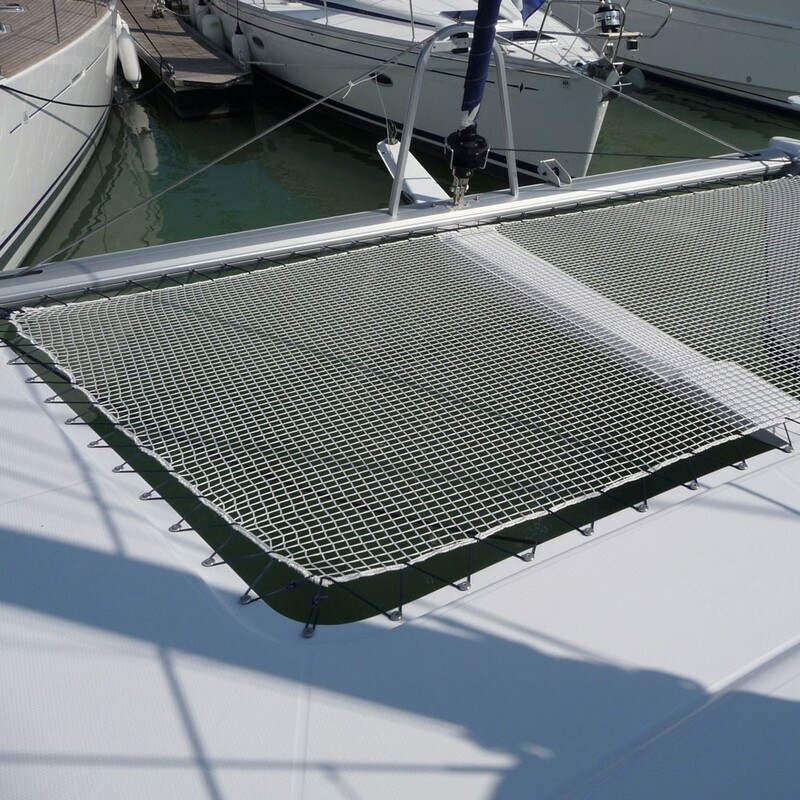 France Trampoline offers made-to-measure nets for your multi-hull. 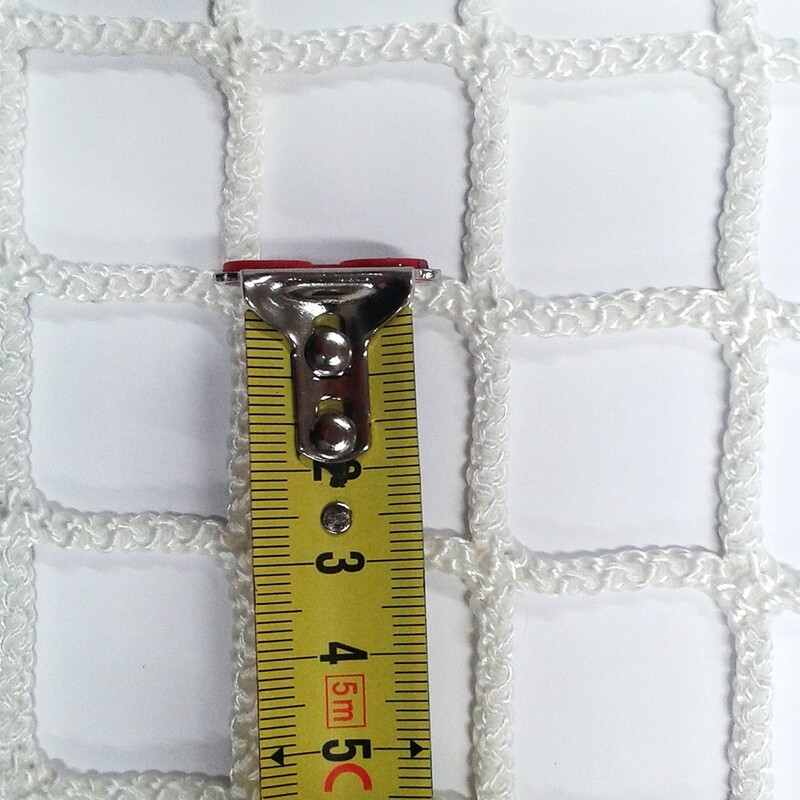 We design braided and knotted nets with mesh size varying from 13 mm to 60 mm. 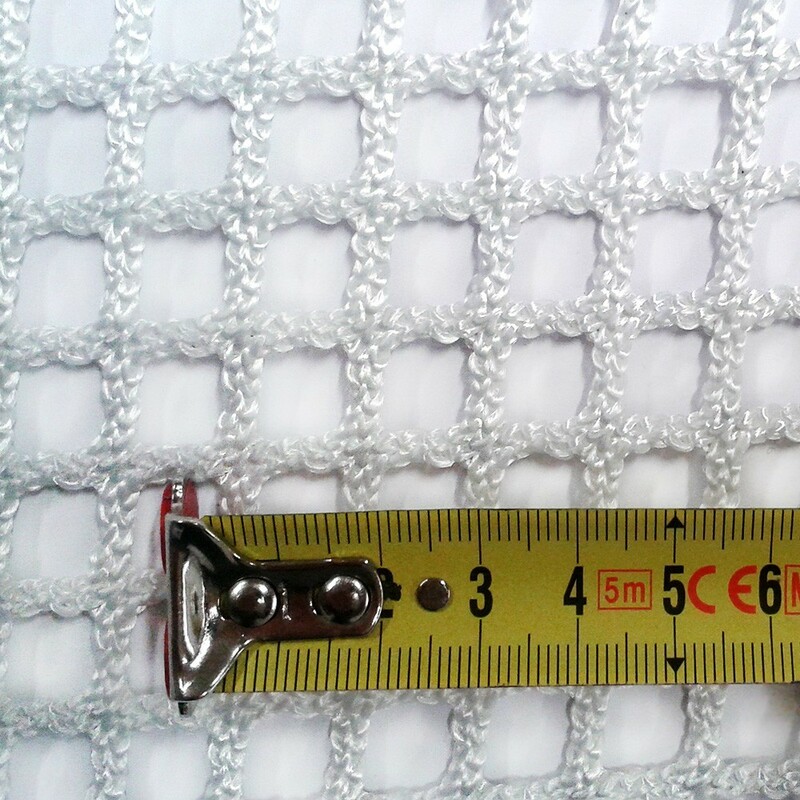 For optimal use and comfort, France Trampoline recommends braided nets, as they are more comfortable than knotted nets and therefore better designed for horizontal positions. 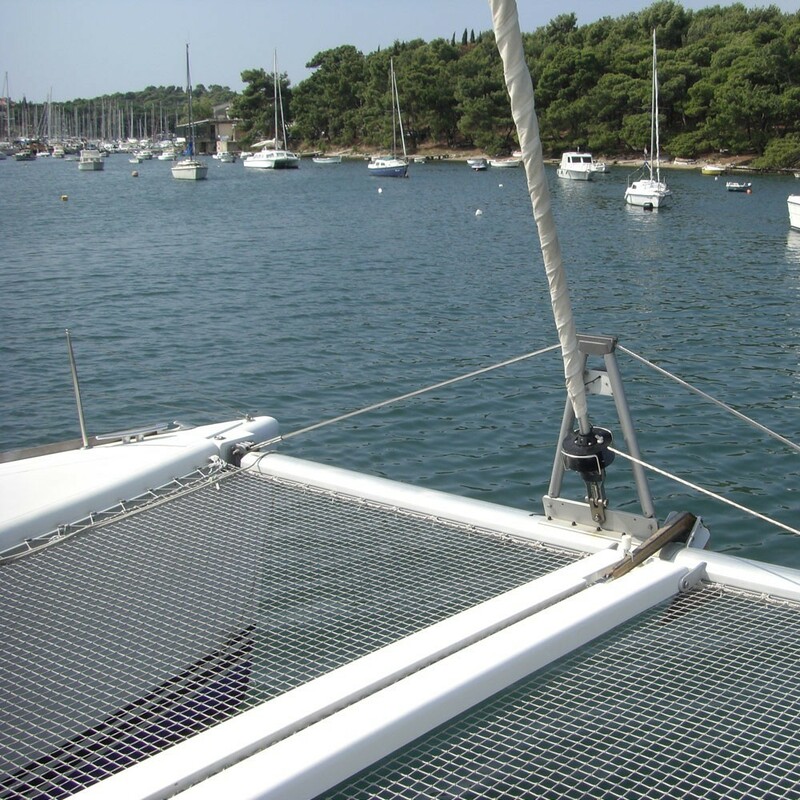 - France Trampoline's braided catamaran nets withstand weights of up to 210 kg/m² and are UV-resistant. 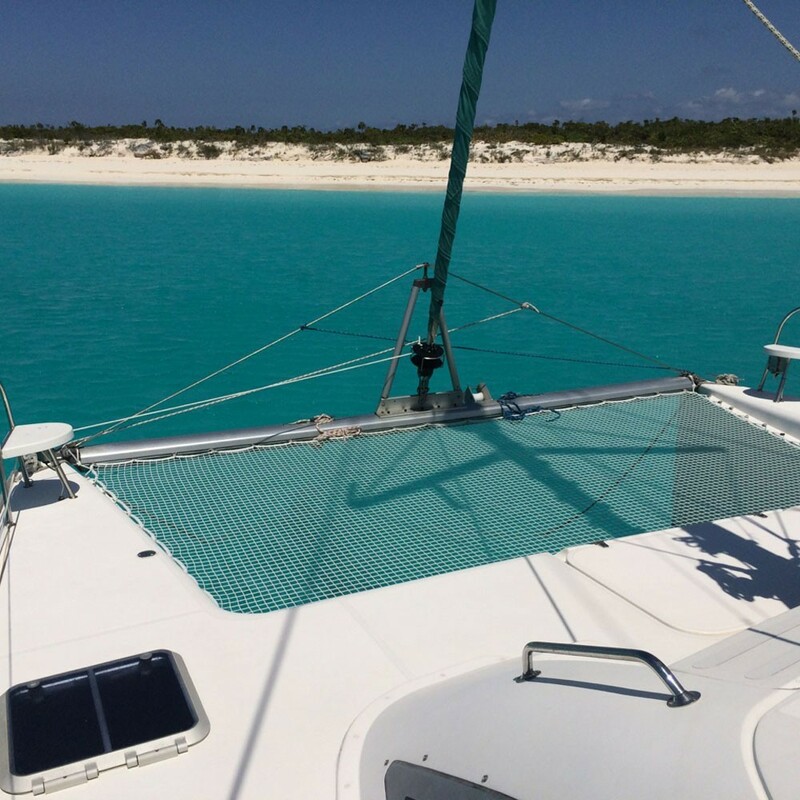 The 13-mm mesh net is the most compact mesh we offer, providing you with maximum comfort while navigating or lounging in the sun when moored. 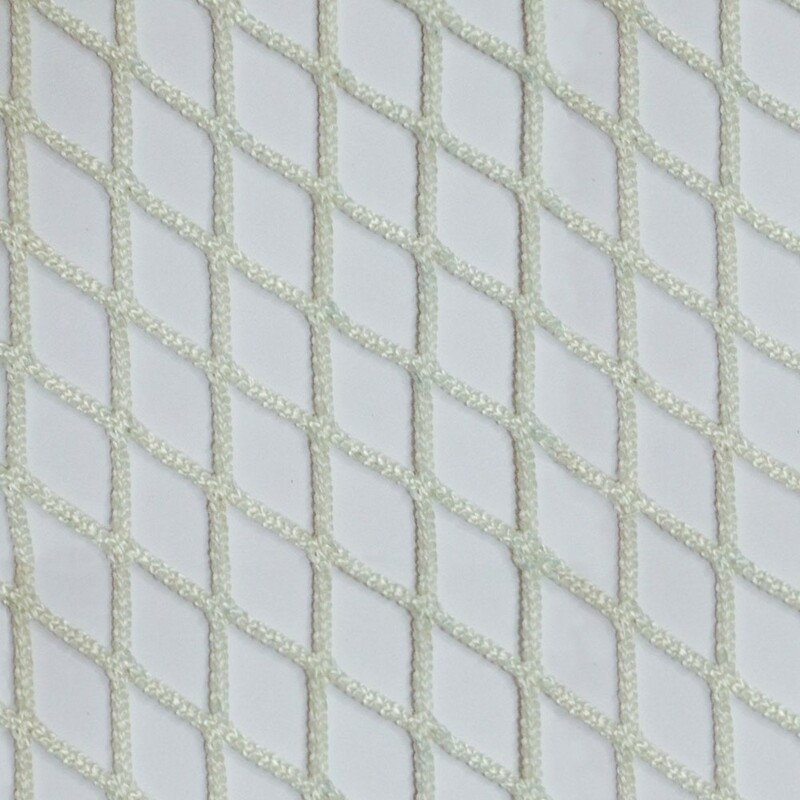 - Our 30-mm mesh net is our stellar multi-hull customer favorite. 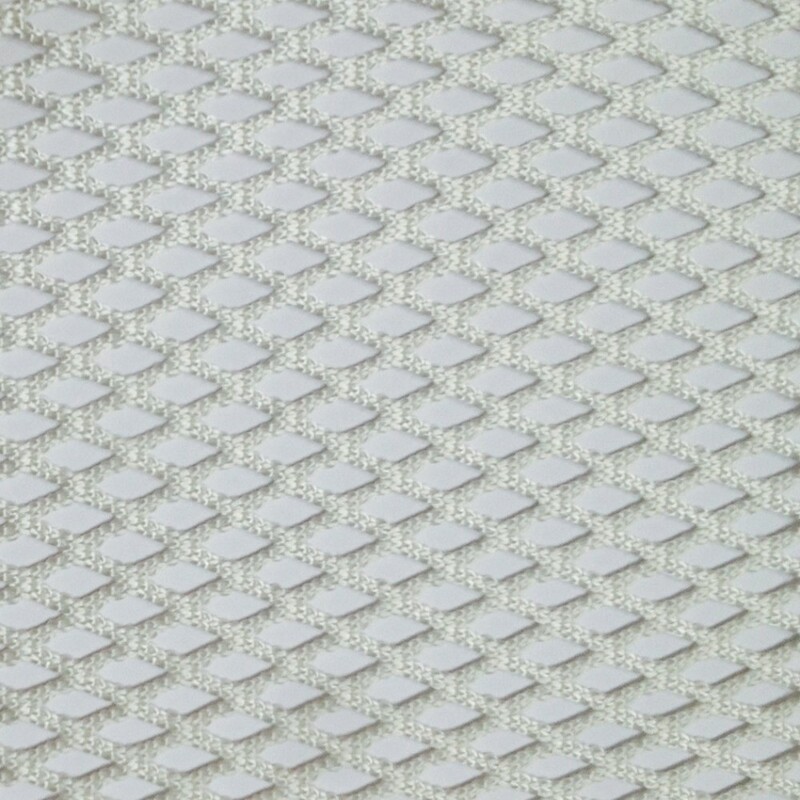 Its loosely woven, comfortable mesh not only lets all the sunlight pass through and through, but also allows you to enjoy the view of the water rushing below your feet! 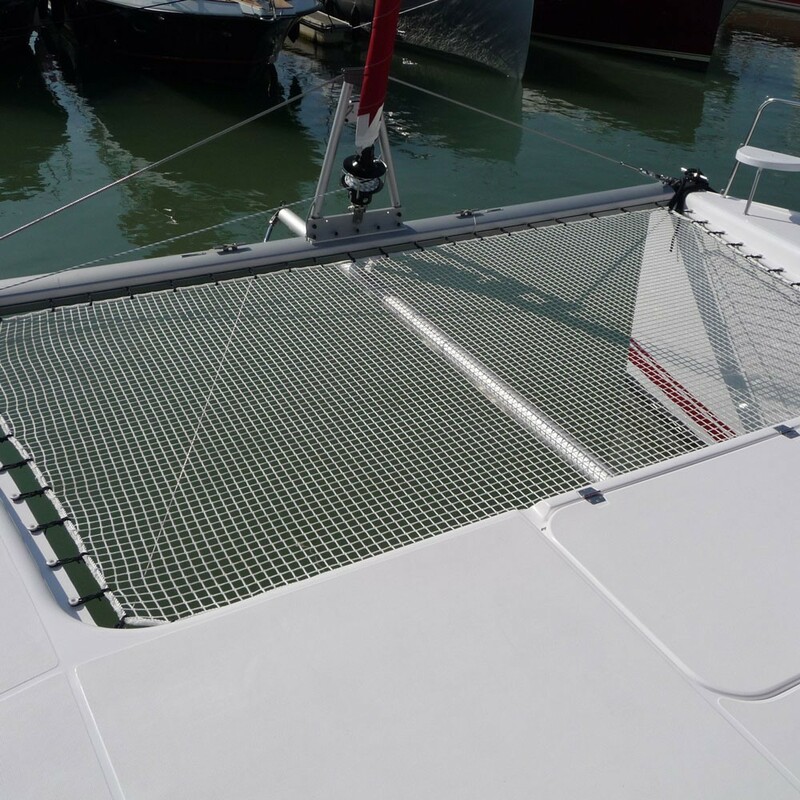 - France Trampoline's made-to-measure nets are available with fastening kits adapted to your multi-hull needs. 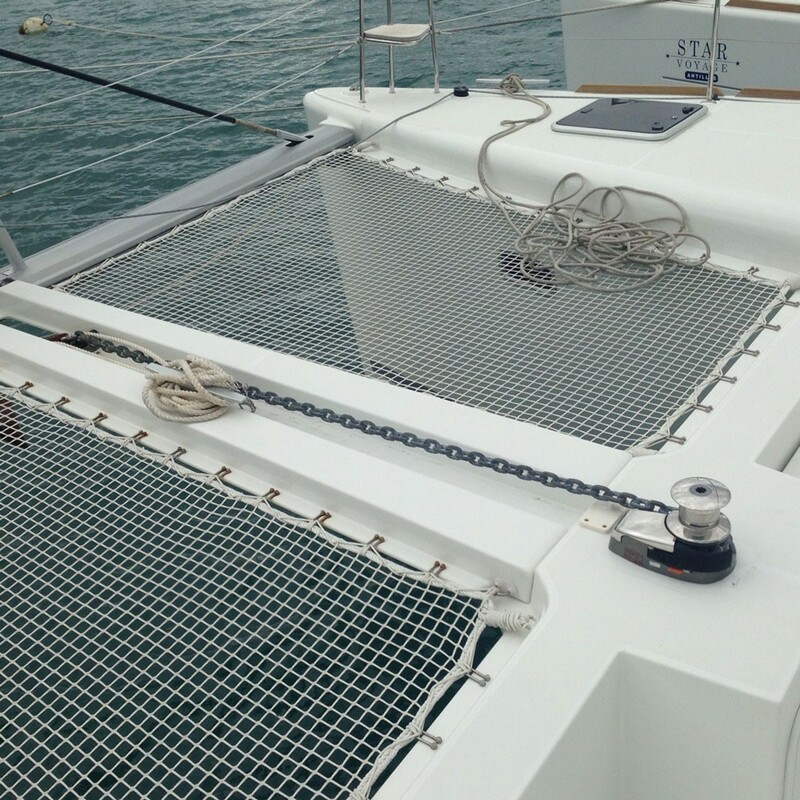 Our nets have bolt-rope finishings for increased product durability, and for a straightforward installation of the fastening system with the lacing rope of your choice, allowing you to re-tighten your net at any time. 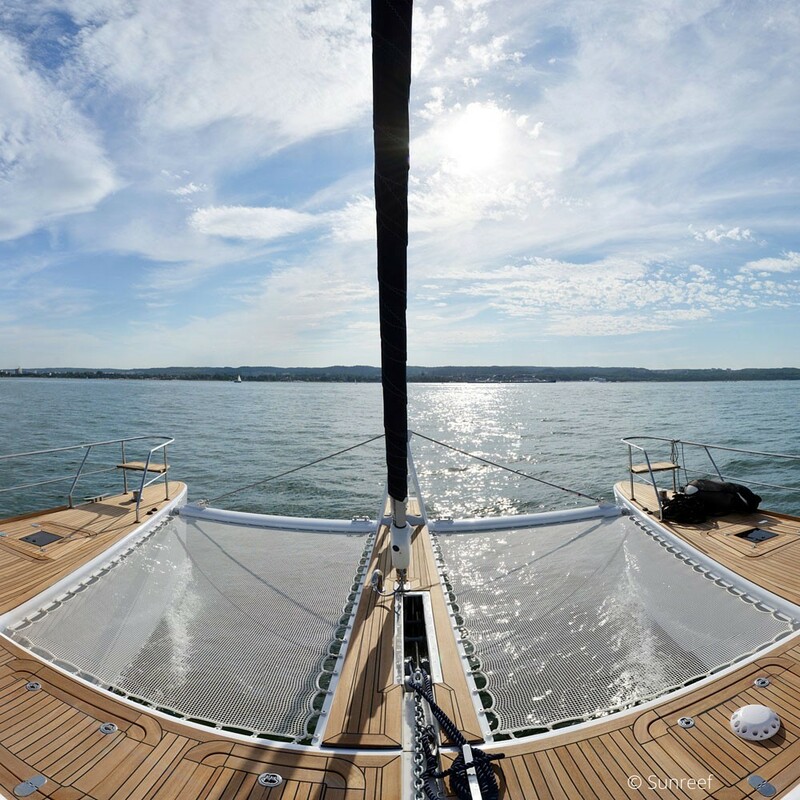 - France Trampoline delivers the world over.